We arrived in Malaysia with several married or soon to be married friends. Chief among them were Bill and Kim, a couple about our age with whom we shared many evening meals. Our circle of married friends expanded to include several Malaysian couples as well, such as Rowena and John, with whom we spent our first Malaysian Christmas. But since then, married couples have been pretty much outnumbered by the younger staff, who are not only more mobile, but less inclined to while away the evening lingering over a meal or just sitting and visiting. But the longer the younger staff stick around, the more likely they are to get married themselves. Some of these marriages, like Yuri and Easton’s, have been pretty lavish affairs, with several course meals and lots of changes of outfits. At a recent wedding of one of Pam’s colleagues in Phnom Penh, we got to witness a traditional Khmer ceremony that featured eight changes of dress! 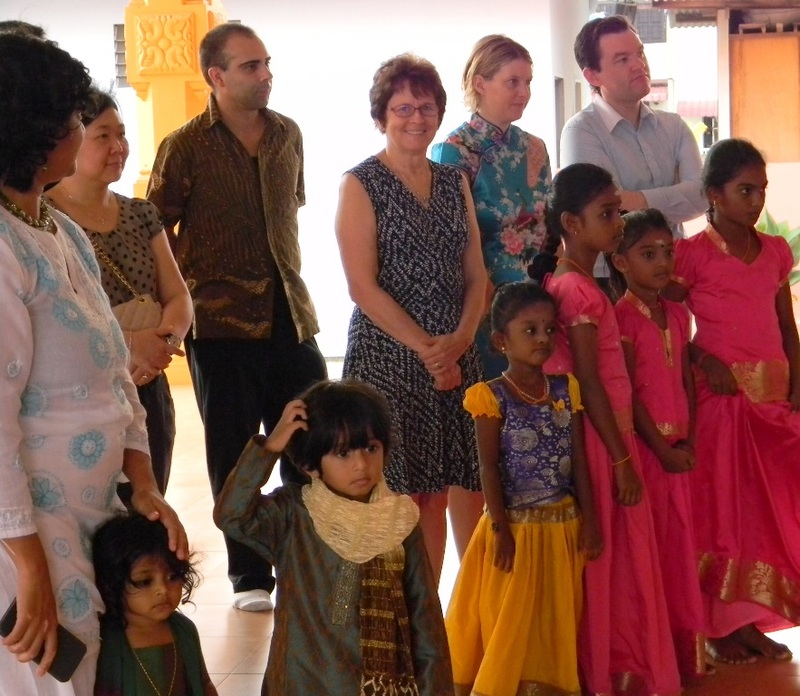 We love these elaborate cultural affairs, and always look forward to learning about Asian customs and traditions. This past weekend we got to attend the wedding of Anusha and Colin, with whom I have worked in the English department for several years. 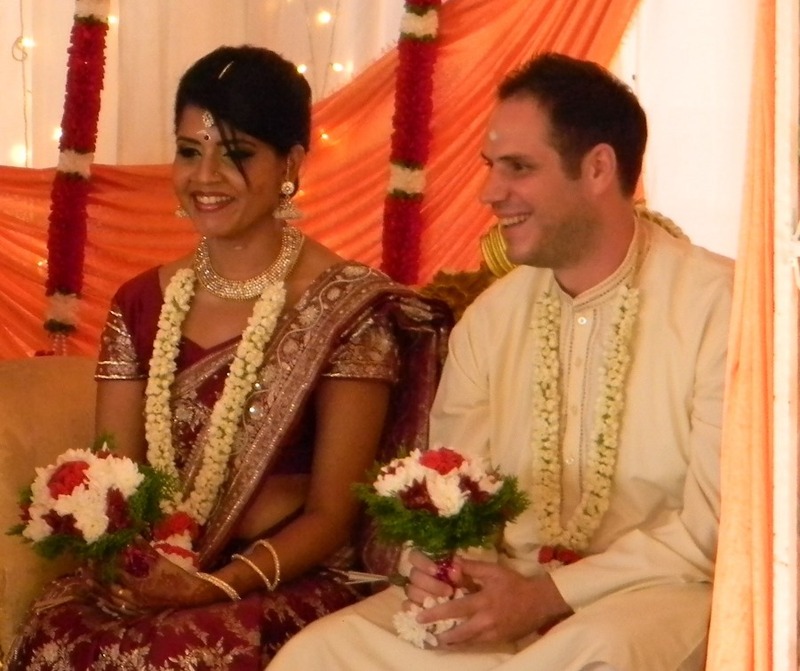 Anusha’s family are Hindu, and her father took a little while to warm up to Colin, although he is fine man and will make a good husband. 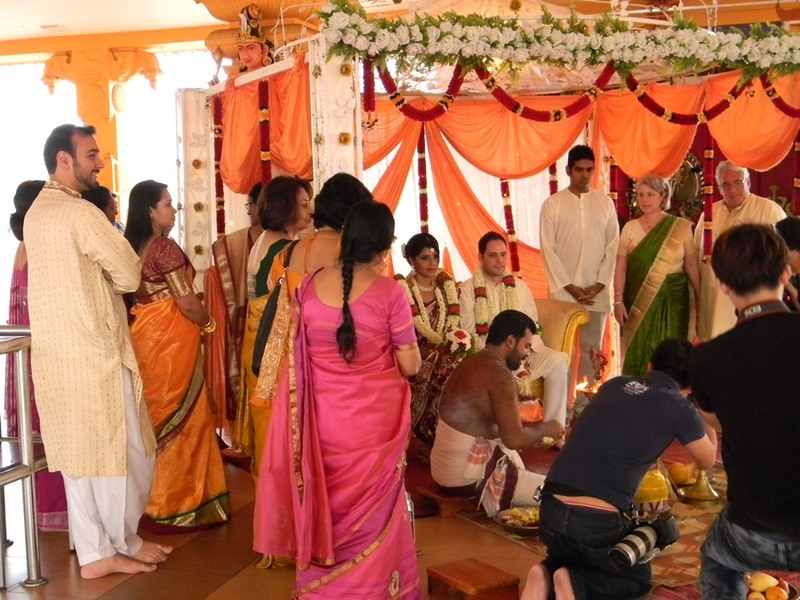 The wedding took place in a Hindu temple, with all the attendant rites and rituals. 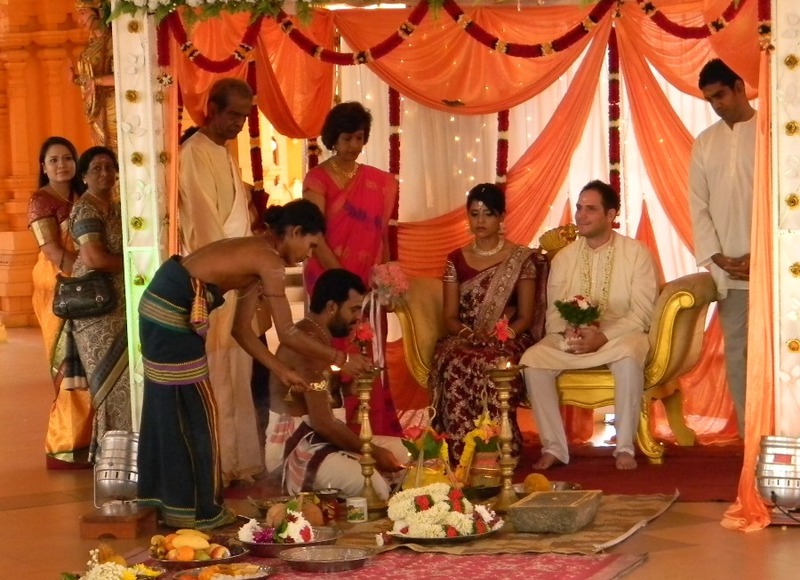 So on the weekend we got to go and see a real Hindu wedding. 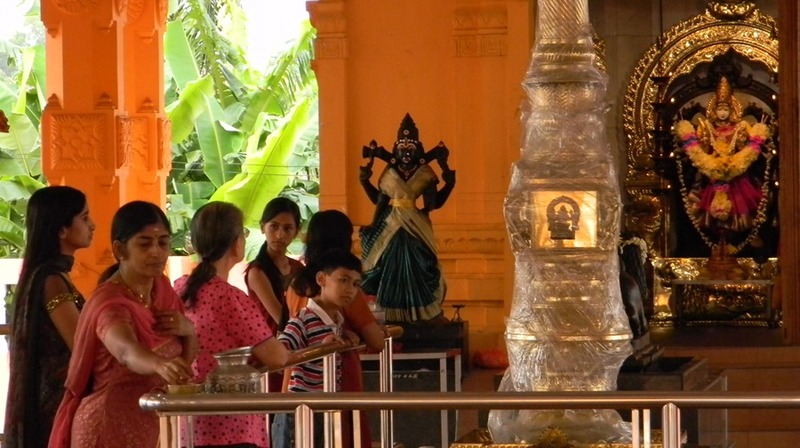 It came complete with two holy men performing the ceremony in a little canopy inside the temple, while two others played traditional Indian music. There was some parading around the icons, and some washing of faces with fire and some anointing with paint and oil, none of which we understood at all. Then we got to throw some rice at the newly married couple and adjoined for pictures on the beach at Port Dickson, where the ceremony took place. After a very pleasant afternoon sipping drinks at the Thistle Resort and Golf Course, we returned for the reception. 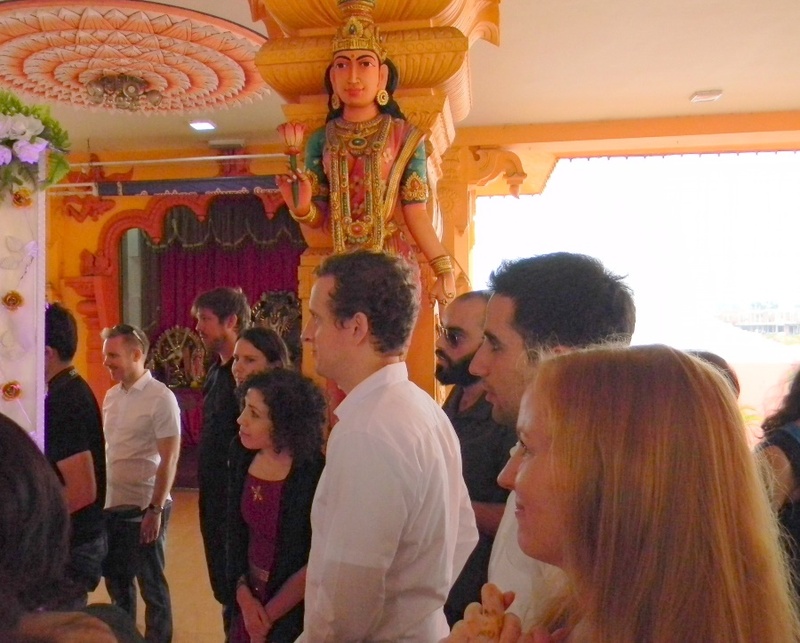 If you know anything about Indian culture, you know that it all centers around food, so we were looking forward to the buffet. We were not disappointed. In a Chinese meal, the dishes are all brought out separately, as they are in proper Italian cuisine. With all due deference to one fifth of the human race, this drives us both nuts. Oh boy, I get to eat a big bowl of kale? Okay. What else? Just kale? Until it is all gone? Indians on the other hand like the mix of flavours that you get when you pile your plate with all kinds of things and the flavours all get mixed up and interact with each other like sensory chemical fusion in your mouth. Love it! Went back three times! Then there were the obligatory speeches, and the drinks and toasts, the mingling with the guests and some weak attempt at dancing. Honestly, aside from Bollywood dancers, can anyone do anything with those complex rhythms? We did get in one Cha-Cha, but the rest of it did not go so well. Oh well, small beans in such a wonderful, colourful, tasty and heart-warming wedding. All the best to the lovely couple!